Referrals are the ultimate gravy train for business growth, but they're also a testament to the level of service you provide. Here are ways to stay top-of-mind with your satisfied clients. Difficult to measure, almost impossible to track, but incredibly influential: These are the traits of word-of-mouth (WOM) marketing. According to a study by Nielsen Co., 92 percent of consumers trust recommendations from friends and family over other forms of marketing. While WOM cannot be controlled, it can be encouraged. 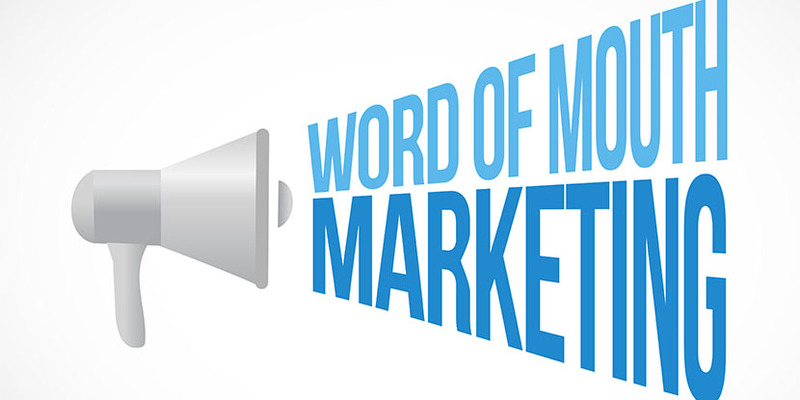 So here are four tips to make WOM your next powerful marketing tool. Community can mean different things to different business owners. For real estate brokers, it's likely the market you work in. Be active in a way that is about giving and making a positive difference. Pay a snow removal company to plow a shelter’s parking lot, sponsor a dentist who performs free checkups for low-income schoolchildren, or serve as a consultant to immigrants looking to buy their first home. These kinds of activities make you feel good and get your company noticed. Client appreciation events offer you and your agents a chance to connect with past and present customers in a meaningful way. Encourage everyone to bring a guest. The goal is to make current or past buyers and sellers feel appreciated, welcome new ones in a "nonselling" environment, and reward both for giving you their business. Barbecues and holiday parties are great excuses to welcome your friends, customers, and community into your world. Take things further and make it a fundraiser for a local cause. Ask each guest to bring an unwrapped toy or a nonperishable food item - and don’t forget to invite the local press. 3. Encourage sharing through social media. As a service provider, be sure to encourage your customers to share their interaction with you through their social media channels. You or your agents should take clients’ photos at each and every closing - get that quintessential "sold" sign shot - then ask them to post it on their profiles. That will give it greater reach and influence than if you post it yourself. Always give a meaningful closing gift, and send notes and gifts on special dates such as closing anniversaries, holidays, and life milestones like graduations or the birth of children. And be sure to ask new clients how they found you. Not only will this tell you what forms of marketing work best, it will also let you know whom to thank for referrals. Be sure to send out a thank you card and a small gift to the person who referred you, including to other brokers and agents.